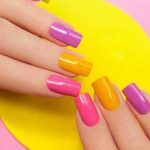 Do you love acrylic nails? Are you interested in doing them at home but don’t know where to start? 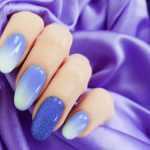 In this post, I’ll give you all you need to know about acrylic nail sets for beginners from start to finish. The most important thing to remember is that practice makes perfect: Nobody will expect you to master it from the get go, and being a little messy is okay! Once you get comfortable in acrylics, you’ll fall in love with them even more. You can then start sharing your new skill with your clients or friends. So let’s get started. The basis of beautiful, shiny acrylic nails is a good manicure. This step is easily rushed over but it makes all the difference. 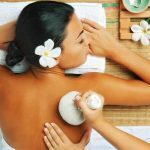 Also, taking the time to pamper yourself always feels luxurious! Trim, file and shape your nails; remove any old nail polish (important! ); push down your cuticles; and nourish your nails. When your nails are clean and dry, start by applying the nail prep/dehydrating treatment. Follow up with a layer of the nail primer. Pour your acrylic liquid into the dish. Dip your acrylic brush in the liquid. Try to avoid bubbles, but if they do form, simply press your brush to the bottom of the dish and start again. Use the edges of the dish to drop any excess liquid. Move your brush to the acrylic powder, dip it in and do a few strokes until a ‘ball’ shape of acrylic starts to form on your brush. At this stage you’ll more than likely have excess liquid, so wipe this off using the lint free wipes. Place your brush on the top of your nail (close to the cuticle), then add pressure so the acrylic covers the whole nail. Dip your brush in the acrylic liquid in between, to make spreading it evenly easier. You can repeat the steps if necessary! The acrylic is dry when you tap it and you hear it make a “ping” sound. Once this happens, you can use your pinching tool and nail file to shape your nails to the desired length. Finally add your top coat to seal your acrylic. Note: There is no need to use a UV lamp on acrylic nails, but you may do so if you want. This can help the acrylic set. This may all sound intimidating, but after doing it yourself a few times, it’ll become second nature. 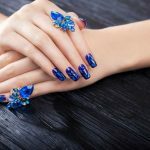 You can also style your new acrylic nails any way you like, including applying nail art or by using your own nail polish. Most importantly, have fun!